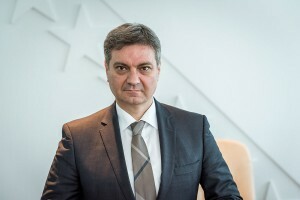 Bego Gutić, the Prime Minister of Tuzla Canton, became the first public official in BiH, who managed during the curse of one day to resign, and to be re-elected to the same position. The show took place in Tuzla on Thursday, 9th of July, and was orchestrated in order to replace ministers from the Democratic Front (DF) with ministers from Party for BiH (Stranka za BiH). “Since the formation of the TK Government a number of ministers did not fit to the goals we set nor they showed willingness to implement the planned reforms” he said, when submitting his resignation. In fact, Gutić announced the possibility of resignation at the very beginning of the mandate of the Government, in the occasion of voting for the composition of the Personnel Commission at the first extraordinary meeting of the TK Government, when three ministers from the SDA and five from DF didn’t vote for the proposed candidatures. “I don’t want to resign, but if for the third time we won’t succeed in agreeing on the proposal, I’ll be obliged to start the procedure of replacing ministers within the party that appointed them and myself”, said Gutić in March this year. However, although Gutić was announcing that the change wouldn’t happen, he still offered amended proposal for this Commission with new names, which was adopted at the second regular session of the Government of the Tuzla Canton. 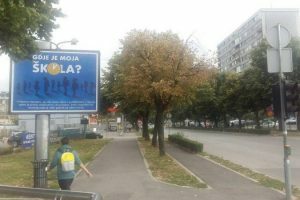 Just a few days earlier, Gutić said, “it’s doubtful that there will be changes in the proposal agreed by the coalition partners”, and therefore the amended proposal can be seen as an inconsistency. Problems in the functioning of the Government in the Canton have, continued also after the appointment of the Personnel Commission of the TK Government. 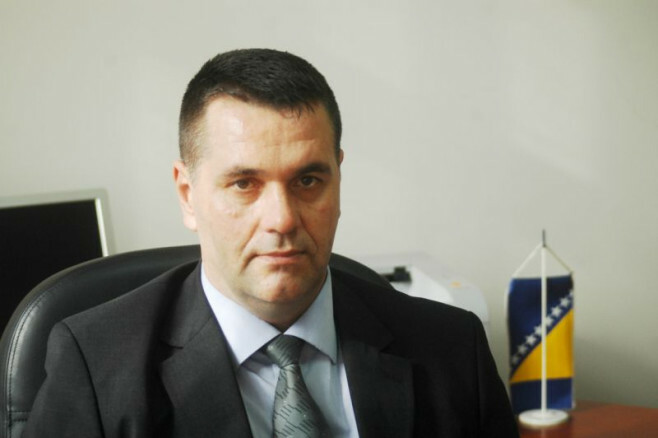 The biggest crisis in the Government occurred in mid-May, after the Chief of the Uniformed Police of the Tuzla Canton Samir Aljukić, the Deputy Commander of the Special Police Forces Jasmin Kurtić and two more police officers were arrested. 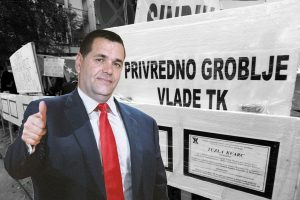 Then there was a public accusation towards the PM Gutić made by the then TK Minister of Internal Affairs Alen Gadže (DF), who said that Gutić was protecting criminal structures in the TK MUP, to which the Cantonal Prime Minister responded with the statement, that, inter alia, Gadžo “culturally, socially, politically or intellectually has no ability to responsibly carry out the tasks of the Minister of Internal Affairs”, and announcing that he would sue Gadžo for defamation. At that time, Gutić has again started mentioning the reconstruction of the Government. He demanded also the support for the dismissal of Alen Gadže from Democratic Front, however DF refused it. 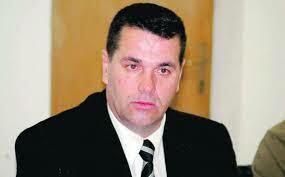 Instead of starting the procedure of replacement of ministers, Gutić resigned. It was adopted by the TK Parliament at its emergency session, only to be followed the same day by re-appointing the Prime Minister. 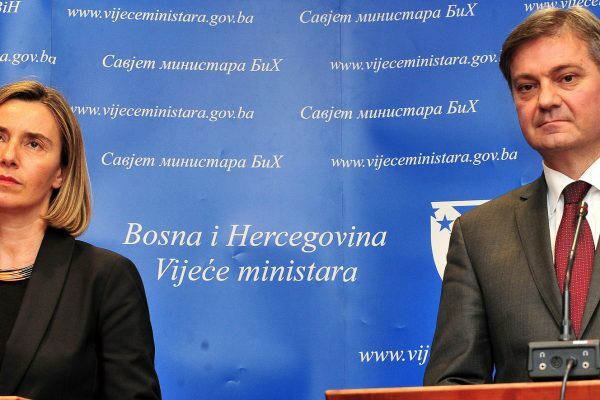 Contrary to the statement he made in June, the TK Government opened to cadres of the Party for Bosnia and Herzegovina: Izet Jagodić and Danijela Simić. Other DF ministers were replaced by Nermin Hodžić (Bosnian-Herzegovinian Patriotic Party (BPS)) and Husein Topčagić (SDA). Additionally choosing Ivana Kulić (NSRzB) for the Minister of Justice was a particularly interesting decision, although her previous work experience consists only of volunteer-internship at the Municipal Court in Živinice. Thus if we look at the above mentioned events: Gutić’s statement on beginning of the dismissal of ministers; claims on non-negotiating with the Party for Bosnia and Herzegovina; as well as at the announcement of potential resignation, and the explanation of the impossibility of creating a “positive atmosphere for reforms”, followed by the quick reappointment of Gutić for the TK Prime Minister, his behavior can be assessed as repeatedly inconsistent.